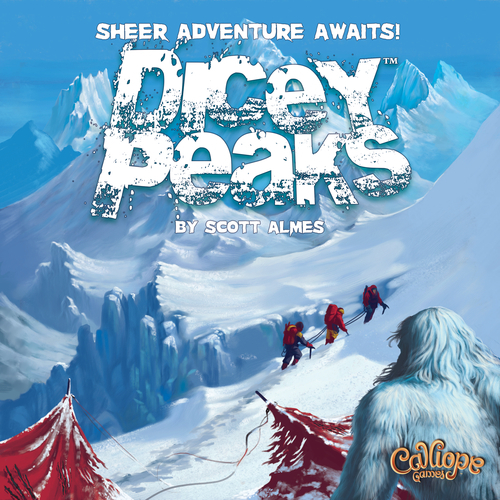 Dicey Peaks is a simple tile-based racing game, for 2-6 players, about climbing to the top of a mountain. It’s simple enough for a child to learn and still fun enough for adults to play. The game is recommended for ages 8 and up, which is reasonable but having someone older there for the first game would be a good idea. To climb the “Dicey Peaks” of Yeti Mountain, the first thing you need is a mountain. To do that you lay out six face-down tiles for the base of the mountain. Above that you lay five more tiles, then four, three, and finally the summit. Each level is labeled (6,5,4,3,0) and there two extra tiles for each level, adding in some extra randomness. The top three tiles are the summit of the mountain, and under one of those three tiles is the flag that ends the game. Each player starts play with an individual climber next to the mountain, an oxygen board with an oxygen tank marker, and a shared pool of dice. The dice pool consists of four dice that are more likely to roll a Climb result, four dice that are more likely to roll a Rest result, and five dice that are equally likely to roll either result. You may also end up rolling an Avalanche or a Yeti symbol on any of the dice. The first player chooses any combination of 5 dice and rolls them. Based on their results they then choose if they want to keep Climbing or Resting results. If a player climbs, they advance up the mountain, using some of their oxygen. If they rest, they regain oxygen but don’t advance. That player sets aside the result they chose, plus any rolled Yeti symbols, and can then choose to reroll the remaining dice plus three more or take the results they have and end their turn. Part of the game’s challenge is balancing how much oxygen you have versus how fast other players may move while you rest. You can never gain more oxygen than the mountain level you are on (6,5,4,3) and can never gain oxygen once you reach the summit to find the hidden flag tile and win. At the same time, you need to decide just how much are you going to push your luck. If you roll more Climb results than you have oxygen available, you hyperventilate and your turn ends immediately. Similarly, if you roll more Rest results than your oxygen tank can hold, you overfill your tank and also end your turn. If you ever accumulate three Avalanche or Yeti symbols during your turn (you guessed it) your turn ends. Dicey Peaks is a great game that has a little something for everyone. There are enough elements to engage a regular gamer, making it a great pallet cleansing game in between other games or while waiting for a player to arrive late. It’s also simple enough to bring younger players or non-regular players to the game table, and could easily work as a gateway game into more complex games. The art is simple but still attractive and effective. The components are all high quality and should stand up to a good amount of usage over time. The only issue I really had was the oxygen tank pawns. They look great, but the accurately cylindrical shape, combined with the small size makes them a little unstable. They usually work just fine, but it doesn’t take a hard bump of the table, or a brush of a shirt sleeve to knock them over and rolling away from the information it’s supposed to track. 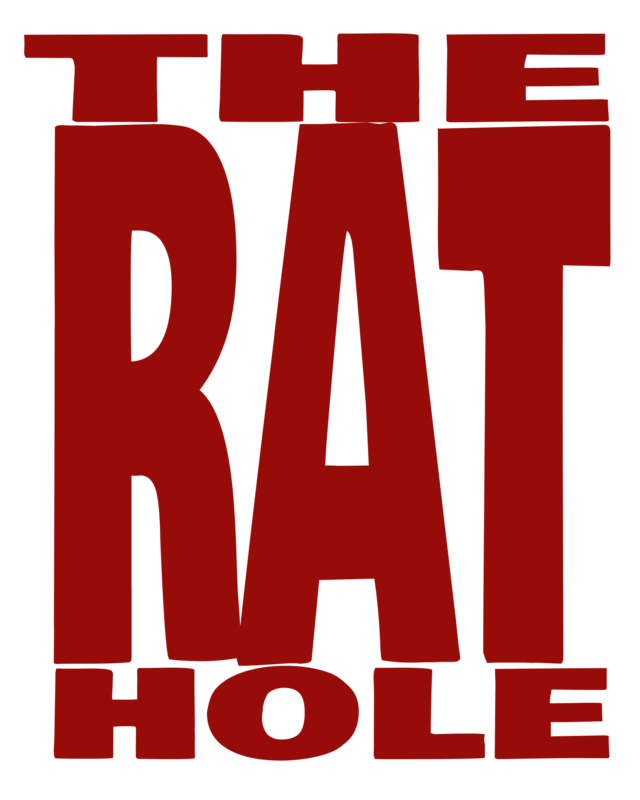 Overall, however, this is a great game for any level of player, and I really do recommend picking it up.